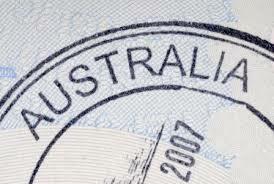 There are new changes for the Australia 457 Visa. This Visa is for temporary workers who are hired. Under the new changes in the rules, the employers first should look for the workers who can fill the skills that are in shortage. The immigration and citizenship minister for Australia said that, this new rules are o safeguard local workers and the opportunities available for the young in Australia. “In addition to the rorting we have seen of the 457 visa system, since this Bill has been before the Parliament we’ve seen even more examples, including rorting in the IT industry, exploited workers in the automotive industry and local workers being displaced by people on 457s,” Mr O’Connor said. The government will definitely support the temporary 457 employer program, as it is to fill the skills that in shortage in labour market, the new law is to make sure that this is only used in such a manner with the Australia’s international trade market requirement. The foreign visa bearers who are making it through the program also have same payment and environment as the local workers, there is additional advantage of visa extension from 28-90 days after completion of the employment. In this period the candidates can work more time and can also organize their return trip or to search a job. If you are planning or interested to migrate to Australia, contact Opulentus at 1800 103 1555 or SMS VISA to 56263. Step by step process how to get PR to Australia.